The bold emphasis is mine but the meaning is clear – one small Indie hasn’t a hope of fighting a company with millions of dollars in its war chest. Can you afford to take a production company to court to get your intellectual property back? Yeah, that’s the big ‘if’, but sadly those contracts make sure you get little if anything in return. I really, truly, strongly suggest you read the Rusch article, just in case…. I’ll confess, part of my outrage stems from the fact that I have day dreams too. I would love to see the Innerscape story turned into a movie or a big, beautiful game. I understand the desperation to have that kind of validation, because I share it. If someone came knocking, waving a contract in my face, I know I’d have stars in my eyes and the k-ching of cash registers in my ears too. But after this warning, I hope I remember that the one thing worse than never finding fame and fortune is being cheated out of it…by a corporate with lots of money and no scruples. Seriously, if you’re an Indie author, please read the Rusch article. Paddington B Bear – just too cute to resist! My thanks to Moviejoltz for posting this delightful trailer. 🙂 Enjoy! Okay, apologies for that rather metaphysical beginning, but I am seeing a rather interesting cluster at the moment, and it all began with the movie The Imitation Game. Like many people, I knew of Turing, not because of Enigma, and the World War II code-breaking, but because of his test for computers. In essence, Turing’s idea was to get a judge to ‘converse’ blindly [using a keyboard and screen] with a human being and a computer. If the judge could not pick the difference between the human and the computer then the computer could be said to be ‘intelligent’. Did a little bell just go off? Yes, well done – intelligent computers are the Holy Grail of AI research, so you can see why I’d be interested in Alan Turing. But the movie delivered a great deal more than just some dry recital of computer history. Now, I’m a humanist rather than any other flavour of -ist, but right then and there, I would have waved my little flag if I had had one. Bloody hell – a gay man and a woman! If I were gay I would compile a list of all the brilliant people in history who were gay, and right at the top I’d put Alan Turing’s name, along with that of Leonardo Da Vinci, so everyone could see what a massive contribution gay people have made to the world. Then I’d sit down and compile another list, but this one would be of women who have made a massive contribution to the world. Why? Because human culture has for too long assumed that everything good ever created or discovered was done so by straight white men. Hmm… and while I was at it I’d probably start combing through the history books of China and India and the rest of the non-white world for the people who created all the things we in the West don’t give them credit for. But that’s a rant for another day. For now let me just say that the movie was excellent. 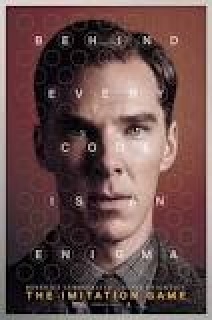 Benedict Cumberbatch is an extraordinary actor who seems to excel in these slightly quirky roles, while Keira Knightly actually managed to come across as a slightly awkward, but very smart Joan Clarke. Definitely the kind of movie I’d see again. The article is concerned with the lack of representation of women in literature rather than science, but great minds are great minds no matter what subject they explore. I know two instances of anything do not a cluster make, but I suspect you out there will have other examples for us to share. It goes without saying that I’d be really happy if you did share in comments! 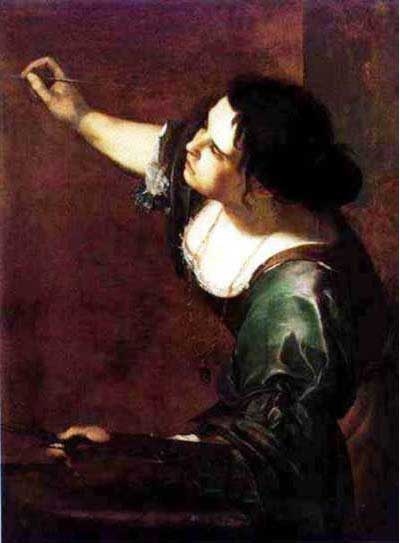 Just had to add this artist named by Candy Korman – Artemisia Gentileschi 16th Century, Italy. This is her self portrait. But look at the angle!